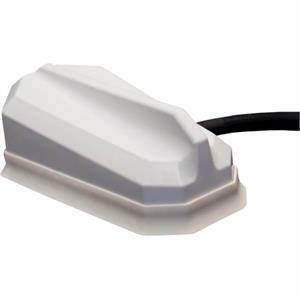 SIERRA WIRELESS Larsen 3 cable roof mount Multi Band antenna with GPS covers Cell / PCS / WiFi / GPS frequencies and features a weatherproof housing and active GPS module. Magnetic Mount. Omni 3dB (Cell), 30dB(GPS),2 SMA M(Cell) ,SMA M(GPS) cable connectors. LTE brings super fast data speeds and the AP-CELL/LTE/GPS antenna gives you better reception. Greater speed and reception means the data gets through the first time, correctly. AP-CELL/LTE/GPS Antenna provides up to 25% more wireless coverage, depending on the geography you travel in. Low Profile Design. The AP-CELL/LTE/GPS Antenna stands only 1-3/4 inches high. It withstands all of the natural elements, car washes, and being swept by tree branches. Small and Portable. AP-CELL/LTE/GPS Antenna comes in two styles – magnetic and permanent mount. The magnetic version is perfect for the user who wants to put it on top of their car, and then take it with them when they travel. Connects to Verizon and AT&T Wireless Mobile Broadband Cards with antenna ports for LTE and Cellular. Wireless Trunk and Mobile Access Routers with antenna ports for LTE and CDMA. Antenna Plus AP-CELL/LTE/GPS Antenna is the low profile high gain external antenna for use with Verizon and AT&T 3G & 4G Broadband Access Cards. It is typically used by mobile road warriors who travel extensively, and need connectivity wherever they go. With AntennaPlus AP-MultiMax MIMO, all four antennas are built into one physical housing so that you only have to drill one hole for a fast and tidy installation. This reduces the need for multiple antennas on top of the vehicle. SureCall full band full broadband yagi antenna for 2G/3G/4G and WLAN systems.